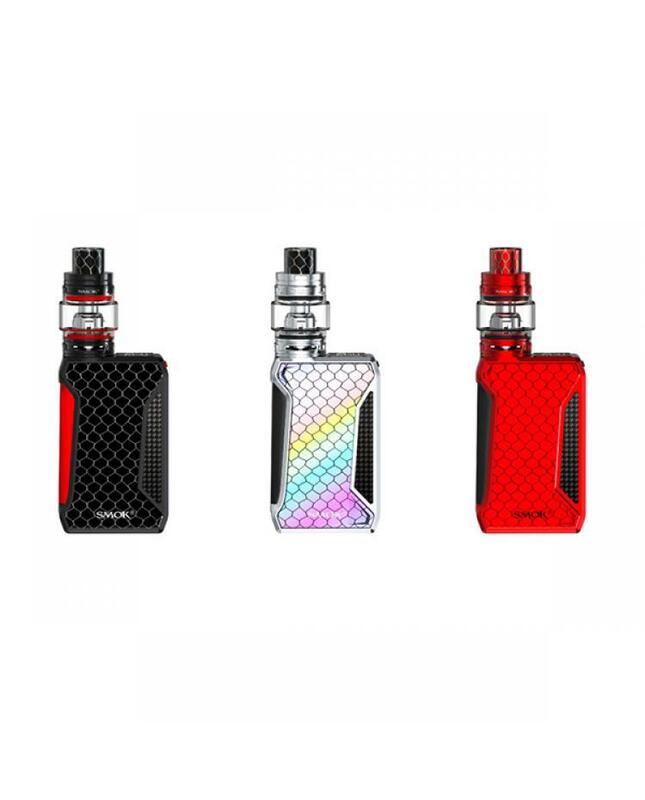 Smok H-Priv 2 is the newest member of smoktech h priv series vape kits, the new kit includes 225W H Priv 2 Vape Mod and TFV12 Big Baby Price Tank. nine fashionable colors available. the smoktech mods with cobra pattern design with wild outlook are the hero's coat armor, let it looks more exquisite. 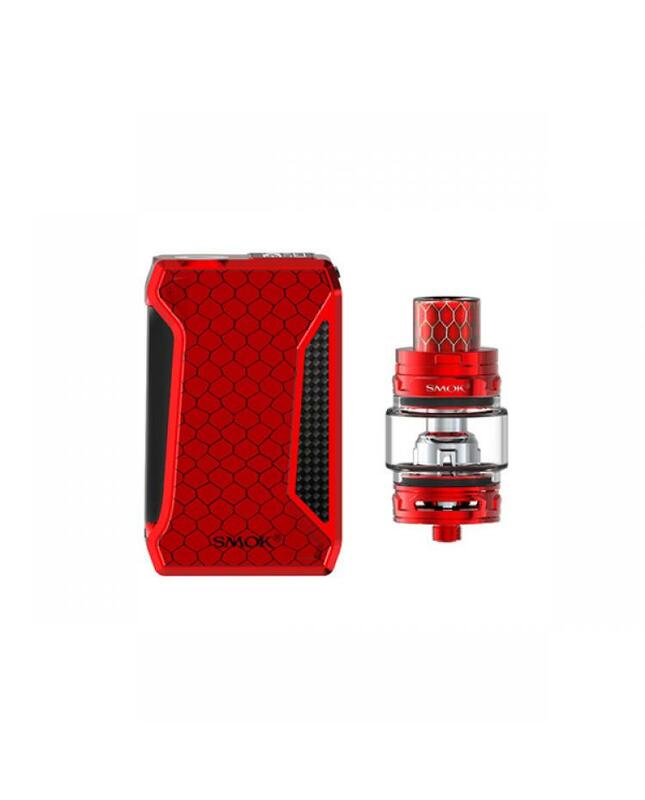 the smok battery mod with large fire key and lateral up and down buttons which are easy to switch on and adjust the setting, with simply press you can start vaping. 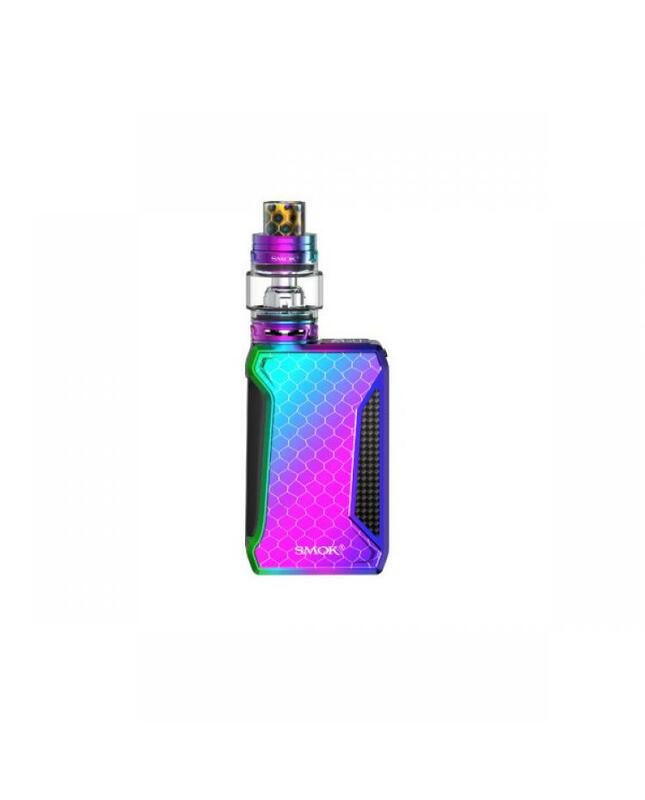 powered by dual 18650 batteries and max output 225watts, vapers can switch the working modes from variable wattage to temp control, supports resistance as low as 0.05ohm, one clearly OLED screen combines with an entirely new operation interface on top of smoktech mod, more vaping data for you, such as working modes, vaping effect, voltage, battery life, resistance value etc, it provides multiple types of protections to avoid potential risks. the TFV12 prince big baby tank can hold 6ml e juice, employs convex glass tanks, which can effectively enlarge the e juice capacity. convenient top refill and easily bottom airflow adjustable designs, compatible with TFV8 baby beast coil heads, will produce a large cloud of vapor and dense flavor. 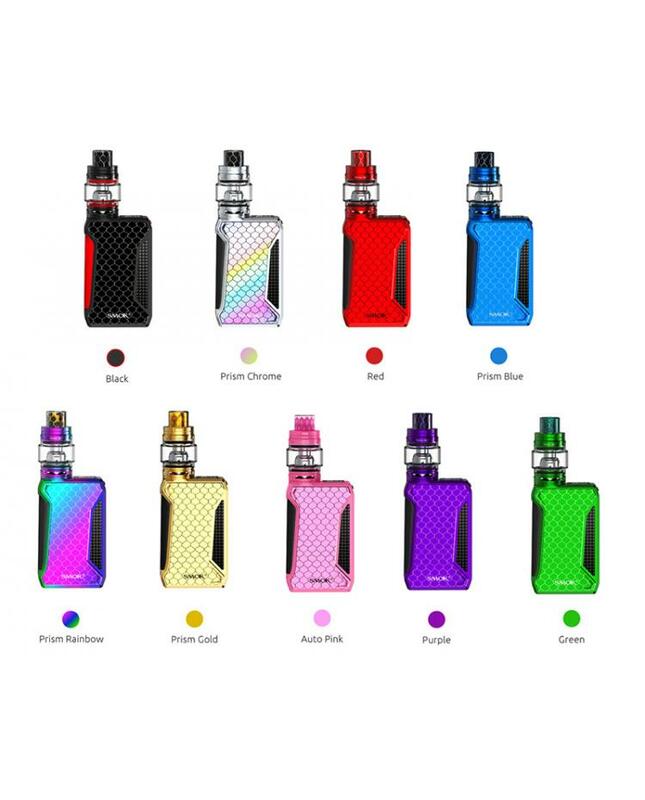 the newly designed top cap has a patented locking mechanism, simply press the button then you can open the cap, besides, the design can effectively avoid accidental opening of the top cap and leaking e juice.